The party that has revolutionized Madrid's nightlife scene has come to Barcelona! 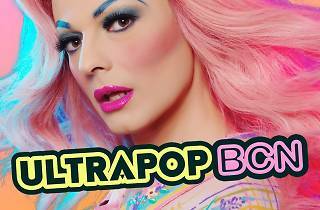 Every Saturday it's an Ultrapop night, featuring renowned mistress of ceremonies La Prohibida; a heterofriendly ambience filled with hit songs from across genres and eras; DJs and regular artists from the Madrid scene (Las Juanettes, Abel Arana, Cascales, Kika Lorace); and a huge hall, Safari. The Barcelona version will also include local artists such as Purpur, Souver DJ and Bulma Beat. This Saturday it's Lolito Malibú and Perotutehasvisto at the decks.